Corrie fans were stunned at the sight of Anna Windass emerging from the shadows of the builder’s yard on Thursday’s Coronation Street (31 May). Aren’t such surprises great? Yes! But, wasn’t she supposed to be in jail? Yes! And tonight, Gary’s madcap plan of bringing Phelan back to Weatherfield all made sense – his Mam had been released from prison, and considering all that she had suffered at Pat's hands, there was only one woman who could and should get to bring him down. Gary gave her that opportunity. I very much enjoyed chatting with Debbie, and thought she put in a brilliant performance in Phelan's final episode. It will be interesting to see where her acting career takes her next, and I wish her every success with it. 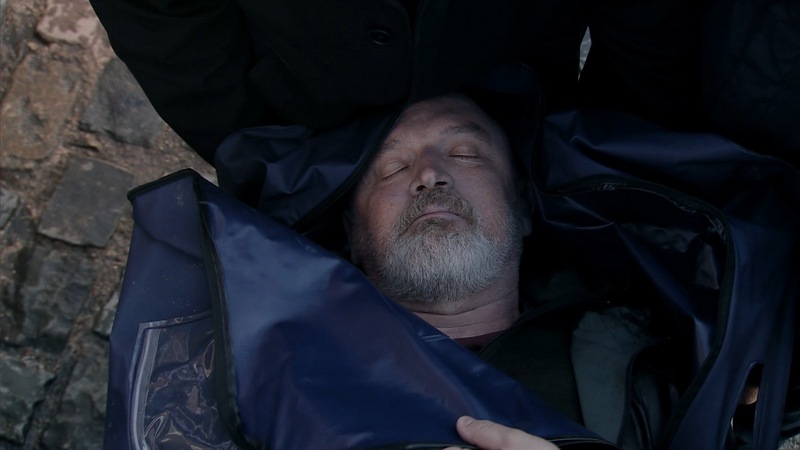 Well, I'm sorry but after all the months of Phelan terror, these last few episodes and especially tonight, felt rushed. 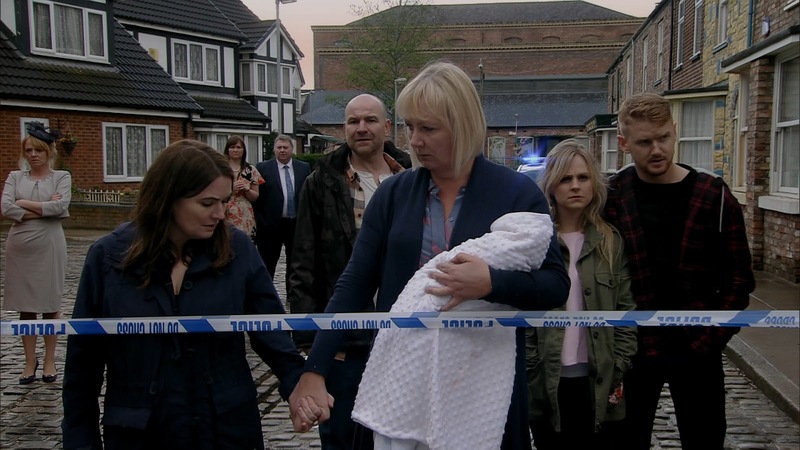 I didn't understand how Anna knew Phelan was going to take Michelle hostage so she could lie in wait with a knife in the kitchen. Gary was on the outside without a phone so I must have missed something there. And what was her plan if those chance events hadn't happened? The storyline had to be dragged out until BGT week but, as a result, it lost some punch. Anna and Faye going off at the end felt like a post-script. Go on, now tell me I wasn't watching closely! I don't care how unlikely it was that Anna would turn up just in time to deal the killer blow. It made my day that it was her, finally getting revenge for what he inflicted on her. Good luck to Debbie for her future roles. Humpty, wasn’t Anna in the process of sneaking in the back door of the bistro when she came face to face with Phelan? Humpty and Rapunzel: and Anna had followed the blood trail, so knew Phelan was in the bistro. Sneaking in the back way was the obvious thing to do. "Saving" Michelle was coincidental. I’ve never been a fan of Anna’s but if somebody had to do it, she deserved to more than anyone (in spite of what Alya might think). She also deserves a proper return, not the pseudo godfather thing. I’m with Humpty Dumpty, however. There was so much screen time spent on wedding and modeling nonsense that could have gone to ratcheting up the tension. The whole daft kidnapping (anything Gary does is daft) could be cut with one scene of Pat reading of Anna’s release and/or his mommy chat with Nicola. You didn’t need a wedding, a welcome home party for Anna at Roy’s would have gathered folk (the Connors weren’t even part of the Phelan story - note the ‘who are you’ look at Ali). Oh, and Anna loved Roy and knew her way around the cafe, there would have been more at stake. That party would have built up soon to be crashed happy times without the need for distracting bridal dramatics, and the right people would have been gathered. Finally, Phelan was a super villain and a manipulator, he should have had a plan to return and terrorize on his own instead of being kidnapped by a blockhead. We deserved more time for Anna’s return as well as for watching the good neighbors squirm until she stood up.